I have recently watched Peter Jackson’s film adaptation of The Lord of the Rings by J.R.R.Tolkien. The Lord of the Rings was originally Published as three volumes over the course of a year from 21 July 1954 to October 1955,as The Fellowship of the Ring, The Two Towers, and The Return of the King. The title of the novel refers to the story’s main antagonist, the Dark Lord Sauron, who Long before the events of the novel created One Ring to rule the other Rings of Power as the ultimate weapon in his campaign to conquer and rule all of Middle-earth and corrupt everyone. He is defeated in battle, and Isildur cuts the One Ring from Sauron’s finger, claiming it as an heirloom for his line.Sadly though Isildur is later ambushed and killed by Orcs in the Gladden Fields, and the Ring is lost in the River Anduin. Over two thousand years later, the Ring is found by a river-dwelling stoor called Déagol. His friend Sméagol immediately falls under the Ring’s spell and strangles Deagol to acquire it. Sméagol is banished and hides under the Misty Mountains, where the Ring extends his lifespan and transforms him over the course of hundreds of years into a twisted, corrupted creature called Gollum. He loses the Ring and, as recounted in The Hobbit, Bilbo Baggins finds it. Meanwhile, Sauron takes a new physical form and reoccupies his old realm of Mordor. Gollum sets out in search of the Ring, but is captured by Sauron, who learns from him that Bilbo Baggins now has it. Gollum is set loose, and Sauron, who needs the Ring to regain his full power, sends forth his powerful servants, the Nazgûl, to seize it. So the hobbits Frodo Baggins, Samwise “Sam” Gamgee, Meriadoc “Merry” Brandybuck and Peregrin “Pippin” Took, aided by the hobbits’ chief allies and travelling companions: Aragorn, a Human Ranger; Boromir, son of the Ruling Steward Denethor of the realm of Gondor; Gimli, a Dwarf warrior; Legolas, an Elven prince; and Gandalf, a Wizard set off on a perilous quest across Middle Earth to destroy the Ring in the Fires of Mount Doom. Along the way they Encounter many dangers including The Machinations of corrupted wizard Saruman, The Nazgul, Hordes of vicious orcs, and The Ancient Demonic and fiery Balrog. They are helped along by Galadriel and Celeborn after they take refuge in the Elven forest of Lothlórien. Upon leaving Lothlórien Merry & Pippin are kidnapped by Orcs at Amon Hen. However they are later rescued by Eomer and the Rohirrim and escape into Fanghorn Forest where they encounter Treebeard, the oldest of the tree-like Ents. who are roused from their customarily peaceful ways by Merry and Pippin. Meanwhile The rest of the company ride to Edoras, the capital of Rohan, where they meet Théoden, King of Rohan, who has been cursed by the evil Saruman. Gandalf frees Theoden from Saruman’s curse and convinces Theoden to ride to the ancient fortress of Helm’s Deep to engage Saruman’s forces. They are joined by Eomer and his company of the Rohirrim. Gandalf then convinces Treebeard to send an army of Huorns to the aid of Théoden at Helm’s Deep, and the Huorns destroy Saruman’s army and attack Isengard, Saruman’s stronghold, and trap the wizard in the tower of Orthanc. Meanwhile Frodo and Sam capture Gollum, who had been following them from Moria, and force him to guide them to Mordor. They reach the Black Gate however Finding Mordor’s Black Gate too dangerous to attempt, they travel instead to a secret and extremely dangerous passage Gollum knows, however can he be trusted? Torn between his loyalty to Frodo and his desire for the Ring, Gollum eventually betrays Frodo by leading him to the great spider Shelob in the tunnels of Cirith Ungol. Frodo is felled by Shelob’s bite, but Sam fights her off. Sam takes the Ring and leaves Frodo, believing him to be dead. When orcs find Frodo, Sam overhears them say that Frodo is only unconscious, and Sam determines to rescue him. Having been defeated at Helm’s Deep Sauron unleashes a heavy assault upon Gondor. Gandalf arrives with Pippin at Minas Tirith to alert Denethor of the impending attack. The city is besieged, and Denethor, under the influence of Sauron through another palantír, despairs and commits suicide, nearly taking his remaining son Faramir with him. 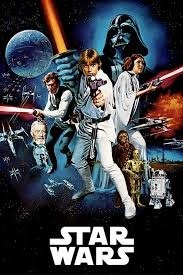 I have recently watched the Exciting Science Fiction film Star Wars again. It takes place a long time ago in a galaxy far away, it is in the midst of a civil war following a hostile take over by the Evil Sith Lord Emperor Palpatine. Many have joined Palpatine’s evil oppressive empire, however the Rebel Alliance led by Princess Leia Organa of Alderaan leads many other world in the fight to regain their freedom against the evil empire. Spies for the Rebel Alliance have stolen plans to the Galactic Empire’s newest and deadliest weapon, the Death Star, a space station capable of destroying an entire planet. Rebel leader Princess Leia has the plans, unfortunately her ship is captured by Imperial forces under the command of the ruthless Darth Vader, who is Emperor Palpatine s, Apprentice. Before she is captured, Leia hides the plans in the memory of an astromech droid, R2-D2, along with a holographic recording. R2-D2 flees to the desert planet Tatooine with C-3PO, a protocol droid. The droids are captured by Jawa traders, who sell them to farmers Owen and Beru Lars and their nephew Luke Skywalker. While cleaning R2-D2, Luke accidentally triggers part of Leia’s message, in which she requests help from Obi-Wan Kenobi. The next morning, Luke finds R2-D2 missing, and meets Ben Kenobi, an old hermit who reveals himself as Obi-Wan. Obi-Wan tells Luke of his days as one of the Jedi Knights, former Galactic Republic peacekeepers with supernatural powers derived from an energy called the Force, who were all but wiped out by the Empire. Luke learns that his father fought alongside Obi-Wan as a Jedi Knight. Obi-Wan tells Luke that Vader was his former pupil, who turned to the dark side of the Force and murdered Luke’s father and presents Luke with his father’s weapon: a lightsaber. Obi-Wan views Leia’s complete message, in which she begs him to take the Death Star plans to her home planet of Alderaan and give them to her father for analysis. Obi-Wan invites Luke to accompany him to Alderaan and learn the ways of the Force. Luke declines, but changes his mind after discovering that Imperial stormtroopers have destroyed the farm, killing his aunt and uncle. Obi-Wan and Luke travel to Mos Eisley, where they meet smuggler Han Solo and his Wookiee first mate Chewbacca at a Cantina. They join forces and board Han’s ship the Millennium Falcon. The group discovers that Alderaan has been destroyed by the Death Star’s superlaser on order of the commanding officer, Grand Moff Tarkin, as a show of power. The Falcon is captured by the Death Star’s tractor beam. While Obi-Wan goes to disable the tractor beam, Luke discovers that Leia is imprisoned on the Death Star, and rescues her with the help of Han and Chewbacca. After several escapes, the group makes its way back to the Falcon. Obi-Wan sacrifices himself in a lightsaber duel with Darth Vader, and the Falcon escapes amid a fierce dogfight. The Empire has planted a tracking beacon aboard the ship, and follows the Falcon to the Rebels’ hidden base on Yavin IV. The Rebels analyze the Death Star’s plans and identify a vulnerable exhaust port that connects to the station’s main reactor which will destroy the Death Star; So the rebels including Luke prepare to attack the Death Star. however the in the ensuing battle, the Rebels suffer heavy losses after a number of unsuccessful runs. Then Vader himself leads a squadron of TIE fighters and prepares to attack Luke’s X-wing fighter, just as Luke Prepares to make his assault on the Death Star in an exciting and explosive finale.